Please e-mail us at if you would like something added to this list! WebBrat's Picks - everything you do in Berlin will be wonderful, but these are my recommendations just off the beaten path. Berlin's biggest beer garden is idyllically located on the banks of the lake in the heart of Tiergarten park. Café am Neuen See is a traditional Bavarian beer garden that serves up southern German specialties (pretzel, white sausages, roast pork and meat loaf), as well as standard European dishes such as pasta, pizza and barbecued meat and fish. A large beer should help you wash down the hearty food. The garden is illuminated by hundreds of candles flickering on the tables. For a beautiful view of nightime Berlin, visit the Reichstag Dome at dark! The Brandenburg Gate is also stunning in the dark. Bring a tripod if you want to take pictures. Sunset will be about 9pm while we're there. If you don't have time for a "Guided Tour" of Berlin or prefer to do things on your own, a well known secret is to catch the regular commuter bus; Bus 100. Push your way to the front seat of the top level/double decker bus and take in the major sites of Berlin. Even stunning at night! Walk left after facing the BurgerKing in Alexanderplatz. At the street, take another left. Under the bridge, on the other side of the street is where the Bus 100 starts. Push a little and make sure to get a seat on the top of the front of the Bus! You'll see almost all the Berlin monuments and end up at the Zoo. Take the 9 toward Osloer Str. to Berliner Str. Take the 148 toward Alexanderplatz to Stadtmitte/Leipziger Str. Click here for more information in German. Or, here's a trick you can use. Choose "German to English" and click Translate. As you toggle through the pages, it translates each page for you. It doesn't work perfectly, but can give you a good start. If you have any questions afterwards, just ask! Take the 285 toward Am Waldfriedhof to Leichhardtstr. Then take the 2 toward Pankow to Klosterstr. Take the 148 toward Zehlendorf, Busseallee to Fischerhüttenstr. Immediately across the street from our Hotel. Every Sunday vendors line the small park with their stalls. Great finds can be had. Jeri told a couple vendors to make sure their stalls were loaded with lots of stuff with the word "Berlin" on it as 300 Americans will be back in July!!!! A couple made NOTES!!!! On Tuesday the Market returns but this time it's fruits, breads, meats and flowers. At the end of the Park is a new Holocaust Wall. Similar to the Vietnam Wall, it lists those from the "Steglitz area." Take the 148 toward Busseallee. to Fabeckstr. The Olympic Stadium - Site of the World Cup 2006! Oskar-Helene-Heim Enjoy a Currywurst and a Pommes mit Mayo at the Imbiss! www.potsdam-tourism.com - There's LOTS to do in Postdam. Here's a website to get you started. Take a River Cruise - this is a unique and great way to see Berlin. I took the 1 Hour cruise and it was WELL worth it. Take the 1 toward Potsdam Hauptbahnhof to Sundgauer Str. This is different from the Zoo... It's the largest landscape animal park in Europe. 10,000 animals and 1,000 species, open-air enclosures and magnificent buildings for a fauna from 5 continents nestled among the gardens of the former castle grounds Friedrichsfelde. Air Service Berlin’s Douglas DC-3, one of the legendary “Rosinenbomber” (Candy Bomber), was repaired and restored true to the original in England (Coventry) over a period of many months. The ambience of the aircraft provides you with a step back in time, beginning with the paint, seat cushions, and music to the crew’s uniforms. The Berlin Hi-Flyer is one of the largest helium balloons in the world. You ascend without a sound in a gondola into the sky above Berlin. You feel as though you are floating freely, and yet, you are connected to the ground with a steel rope. An electric motor gently brings you back to the ground. While you are ascending, the pilot will provide you with much interesting information about Berlin. Once you arrive at the top, you will have a view across the entire city! Berlin is a very flat, bike-friendly city and our tours take advantage of this by riding almost exclusively on bike paths and less-traveled roads. Humboldt Tours Berlin are doctoral German history students at the Humboldt University and the FU, and students with the American Fulbright Program. The Cold War was fought in the shadows of Berlin. The people, places, and secrets that kept two worlds on the brink of World War III and the Wall that separated them. On this 3.5 hour walking tour, explore Berlin’s former Soviet Sector – a Cold War battle ground and the foundation of Communist East Berlin. Learn about life behind the Iron Curtain. See how the Stasi, the largest spy network the world has ever seen, kept an entire population under observation. Trace the CIA and KGB spy stories at the US, North Korean, and massive Soviet embassies. And more. The tour runs in all weathers. No reservations necessary. Just show up. Experience Berlin's history from an unusual perspective. 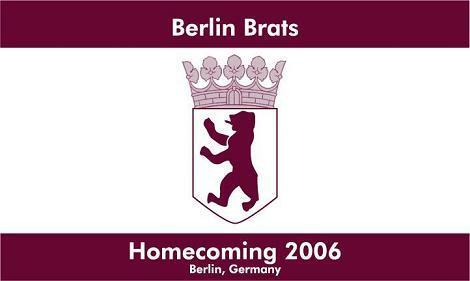 Since 1997 the Berliner Unterwelten e.V. has offered regular organised tours of Berlin's underground installations. Though predominantly in the spaces below Berlin's Gesundbrunnen station, tours are also offered in several other subterranean complexes usually never accessible to the public. Take a Tunnel Tour of the U-BAHN with the BVG. www.eastsidegallery.com - almost a mile long stretch remaining of the wall in Berlin. Then take the 1 toward Warschauer Str. to Warschauer Str. On January 20th, 1942 fifteen high-ranking civil servants and SS-officers met in this house to discuss plans of "The Final Solution" of the Jewish question in Europe, the decision to deport the Jews of Europe to the East and murder them. On the 50th anniversary of the conference a memorial and educational center was opened in the villa in 1992.